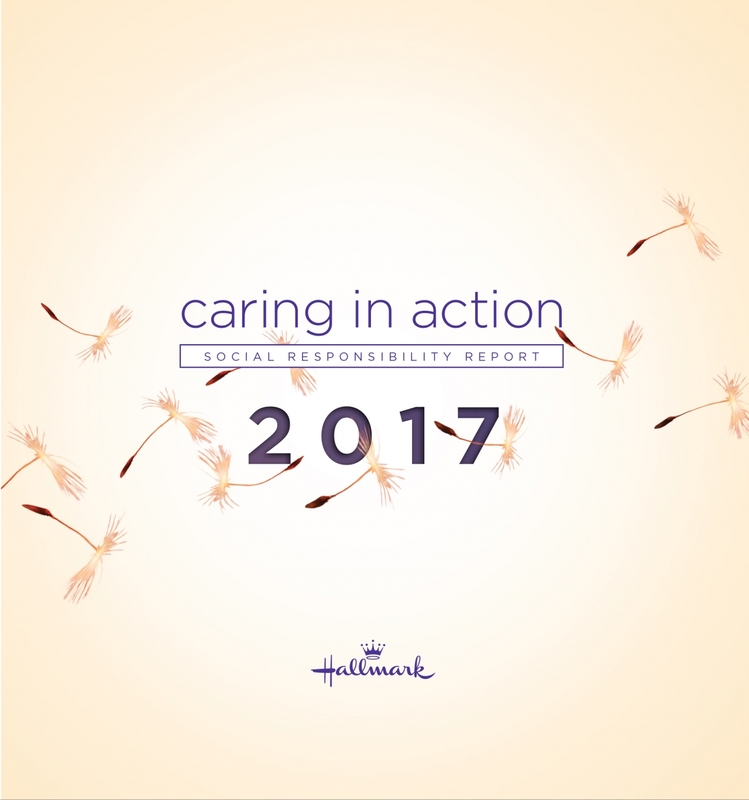 In its 2017 edition of Caring in Action, the company features stories from its businesses including Hallmark Greetings, Hallmark Retail, Hallmark Home & Gifts, Crayola, Crown Media Family Networks, and Crown Center. Also included is an overview of its workplace culture, profiles of diverse leaders from Corporate Strategy, Hallmark Greetings, Crown Center and Crown Media offering insights into their leadership styles and business; and testimonials from organizations and communities Hallmark serves. Surpassed its 2020 goals of sourcing 99 percent of its paper from known, sustainable sources and ensuring 56 percent of recycled fiber was used in packaging and merchandising. Earned recognition as one of the “Best Places to Work” by the Human Rights Campaign for the third straight year, in addition to being named one of America’s Best Employers by Forbes and Statista. The report can be regularly found on the About page of Hallmark’s corporate website. For more than 100 years, family owned Hallmark Cards, Inc. has been dedicated to creating a more emotionally connected world. Headquartered in Kansas City, Missouri and employing more than 30,000 worldwide, the approximately $4 billion company operates a diversified portfolio of businesses. Its global Hallmark Greetings business sells greeting cards and gift wrap in more than 30 languages with distribution in more than 100 countries and 100,000 rooftops. Hallmark Retail operates 2,000 Hallmark Gold Crown stores in five countries and Hallmark Home & Gifts sells a broad array of home décor and gift product throughout the U.S. Crayola® offers a wide range of art materials and toys designed to spark children’s creativity around the globe. Crown Media Family Networks operates three cable channels – Hallmark Channel, Hallmark Movies & Mysteries, and Hallmark Drama – in addition to Hallmark Publishing, the e-books division of the Hallmark channels, and Hallmark Movies Now, a subscription-based streaming service. Crown Center is a real estate development company that manages the 85-acre hotel, office, entertainment and residential campus surrounding Hallmark’s headquarters. For more information, visit Hallmark.com. Connect on Facebook, Twitter, Instagram, Pinterest, LinkedIn and YouTube.